Aneuploidy, the presence of numerical aberrations in chromosome complement, is characteristic of the vast majority of epithelial solid tumors. This phenotype of human cancer has been well described throughout the long history of careful microscopic and karyotypic scrutiny of human tumors (1,2). 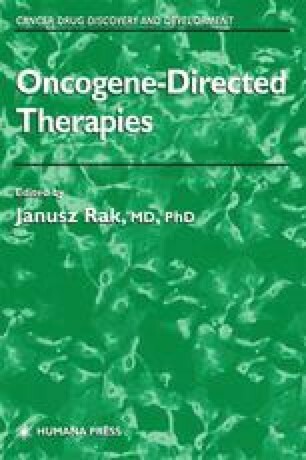 More recently, this tradition has been complemented by molecular and cellular analyses of tumor cell aneuploidy. These analyses have shown that tumor cell aneuploidy is the result of a persistent chromosomal instability (CIN). In human cancer cells, CIN appears to be the manifestation of an intrinsic defect in the chromosome segregation machinery. As a result of this defect, CIN drives the continual generation of aneuploidy in human tumors. But what is the molecular genetic basis, if any, for the CIN phenotype? Recent work has demonstrated that some aneuploid cancers have alterations in mitotic checkpoint genes that affect their ability to direct the appropriate segregation of chromosomes in cell division. Future work is aimed at the identification of the genes involved in these processes that are altered in human cancers.